This article was one of my favorites to piece together with the survey data that was assembled. It was both fascinating, mind-boggling, and there is an enormous amount of conclusions which can be drawn from this data. For the sake of keeping this straightforward, we’ll share some facts and conclusions which you will likely find interesting as well. Of the 1403 respondents that have data collected, a rough estimate of 32,886 discs were purchased in 2013, or 23 per respondent. These players collectively have 68,959 discs, or 49.15 on average. This means that 47.68% of discs owned by respondents were purchased this year. How was this calculated? We took this number by averaging each segment, and placed a number discs owned for players who owned “101+ discs” at 130. Yes, this was a rough guess, but it should suffice for this editorial. We imagine that if given the opportunity, some players in this column would have said they have over 1,000 discs, and others may have only had 105. For fear of over inflating these results, we were modest. If you would like, you may want to increase those numbers a bit. Another interesting point as shown in the graph is that the darkest areas of the graph tend to be where “New discs this year” and “Total Discs Owned” intersect at equal points. In other words, somebody who purchased 16-20 discs in their first of year play is likely to currently own 16-20 discs. This means that many players tend to gather most discs immediately, and purchasing habits in coming years tends to slow. Roughly 71% of disc golfers who began acquiring discs this year purchased a minimum of 16 discs. New disc golfers tend to fill their bag right up. The survey also asked “what was your favorite brand at the end of 2013?” Here’s a look at those answers vs how many discs consumers purchased. This survey was not promoted or endorsed by any manufacturer or brand, to the best of our knowledge. Any brand who had less than 1% share, or less than 15 votes were not included in the results here. Innova’s followers also made the largest portion of disc purchases, thanks to sheer numbers of fans. 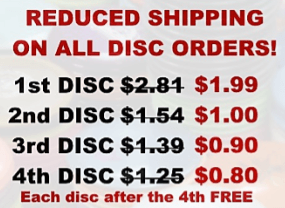 Many of these fans were purchasing large numbers of discs, however, the Innova fans on a spread of how many discs they were likely to purchase, were not as likely as Prodigy, Legacy, Dynamic Discs, Latitude 64, or Westside fans to purchase a large number of discs. For example, both Innova and Discraft fans purchased 6-10 discs last year 15% and 23% of the time respectively while Dynamic Discs fans purchased 16-20 discs 21% of the time. As you can see from the graph on the right, the line represent Innova peaks in the 6-10 disc column, whereas the line for Dynamic and Prodigy peak in the 16-20 disc column. The reasoning behind this may be simple, brands such as Innova and Discraft (while they have vast selection), are not releasing discs as rapidly. For example, if somebody has chosen Prodigy as their favorite brand, they are more likely to purchase Prodigy new releases – and there were 17 new Prodigy discs last year alone. 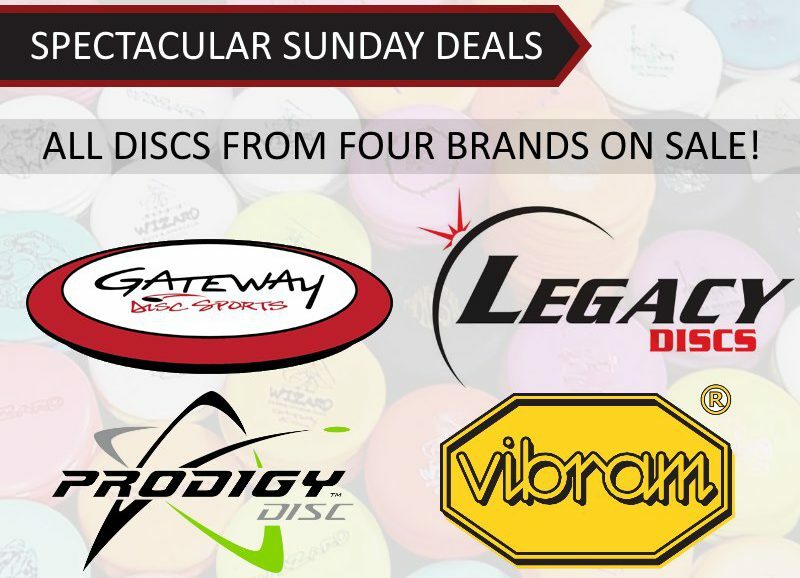 Dynamic Discs, which is manufactured by Latitude 64 (which also manufactures Westside) also has had a number of new releases. But new releases are only part of the puzzle. Respondents overwhelmingly chose Innova as the favorite brand at the end of 2012. Keep in mind, this survey was taken at the start of 2014, so Innova may be the easy answer for those with unclear memories. Even still, chosen as the favorite brand 63% of the time when 19 options are present is an overwhelming landslide victory. It wasn’t even close. Fast forward 1 year and Innova is still the favorite, but it’s an entirely new landscape. At the end of 2013, and with 24 different options, Innova only had a 36% share of the pie, that’s a 27% drop! What changed? For the most part, Scandinavian-made brands became more popular and Prodigy hit shelves. Other brands such as MVP, Vibram, and Legacy also made modest gains. Yes, there are many things we are already looking forward to in our State of Disc Golf: 2014 survey. Let us know what you think and what you would like to see!